Millions have been enthralled by Bas Lansdorp's dream of going on a privately funded, one-way mission to Mars, but a former NASA scientist and one Australian reporter say Mars One is not exactly what it appears to be. After making it into the top 100 pool of finalists for the mission, former NASA researcher Joseph Roche began to get suspicious when applicants were asked to donate a portion of their fees for media appearances to the project,Medium reported. Driven by the “nightmare” of being “linked to something that could do damage to the public perception of science,” the physicist and astrophysicist who teaches at Trinity College’s School of Education in Dublin decided to speak up. “My nightmare about it is that people continue to support it and give it money and attention, and it then gets to the point where it inevitably falls on its face,” Roche told Elmo Keep, an Australian reporter living in the US who has been digging into Mars One for months. Roche described how he had thought there would be proper in-person interviews, several days of testing, and what in his mind “approached a legitimate astronaut selection process.” However, the company then had everyone sign a non-disclosure agreement, and proceeded to conduct 10-minute Skype interviews, he said. There were no psychological or psychometric tests he expected from a selection process for a deep-space mission. Applicants were forbidden to record anything or take notes. 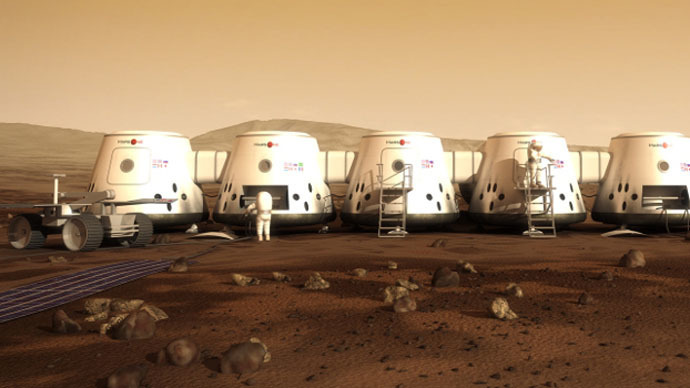 “I have not met anyone from Mars One in person,” Roche told Keep. Even this Guardian piece about the “Top 10 hopefuls” for Mars One is just a list of applicants who have generated the largest sums of money for the organization, Roche said. Keep, the journalist behind this and several other Mars One stories, has been highly critical of the project. He noted that a potential TV production deal with Endemol that could have brought in some $6 billion has fallen apart. He also said that no contracts have been signed with aerospace companies involved in deep-space technology and no training facility has been detailed. I will not rest until space is dead. There’s nothing out there. Just leave it alone. WHAT DOES IT WANT. “From everything I can find, Mars One doesn’t appear to be in any way qualified to carry off the biggest, most complex, most audacious, and most dangerous exploration mission in all of human history,” Keep wrote in a feature last November.